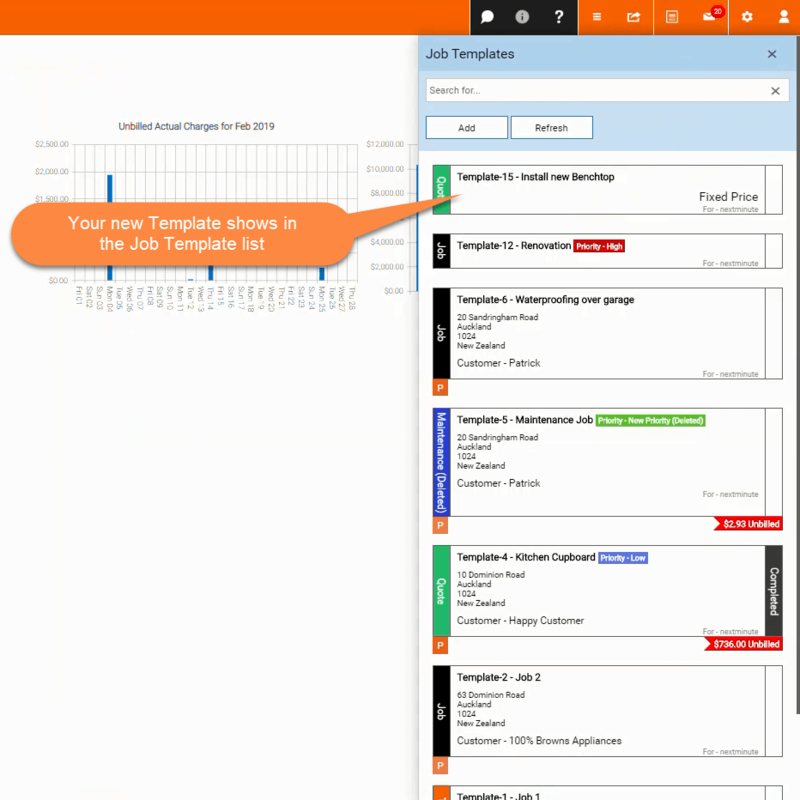 Job Templates – Welcome to the NextMinute support and feedback centre. Set up Job templates to quickly create new Jobs for set work. When creating a new Job using a Job Template you can choose to carry over any of the data required for the Job from the template. 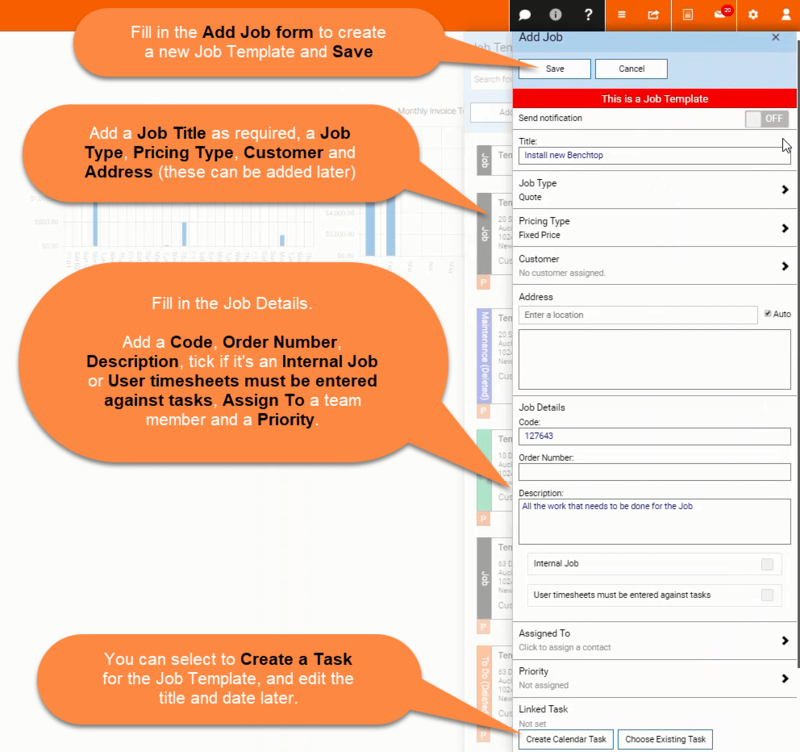 Select Add to create a new Job Template. 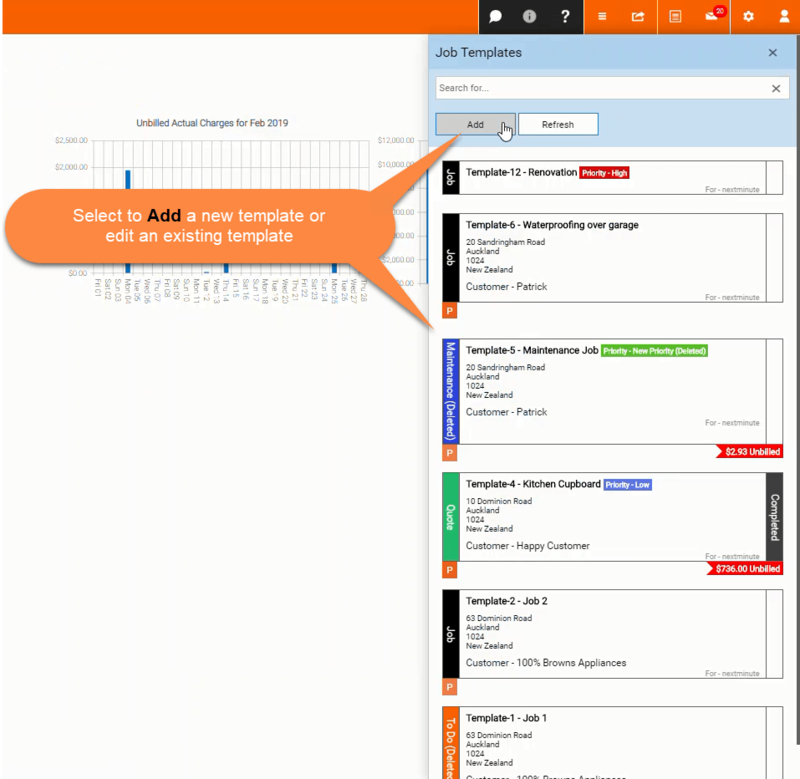 You can also Edit existing templates. Your new Job template has been created. You may want to save an existing Job as a Job Template to use again later. 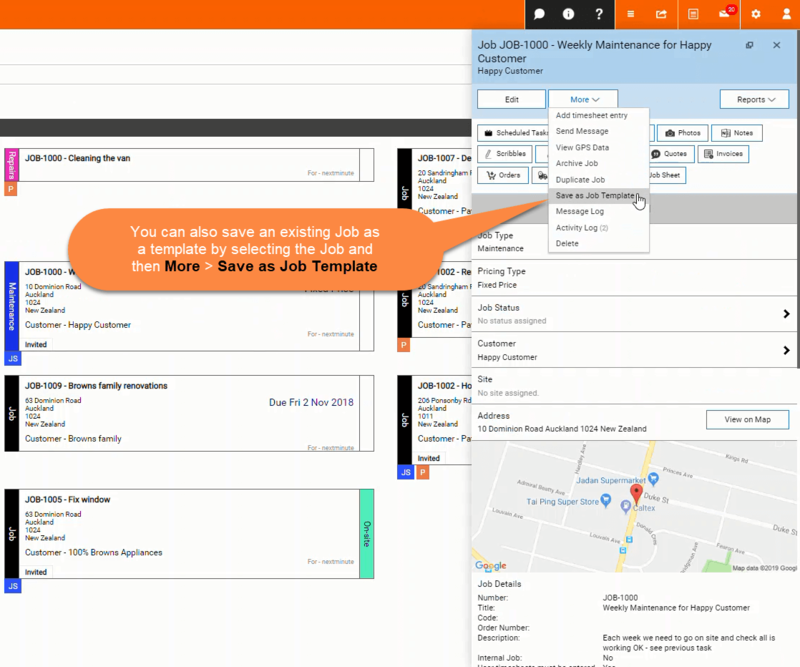 You can do this by selecting the Job > More > Save as Job Template. How do Merge Fields work?